The act you've known for all these years, Sgt. 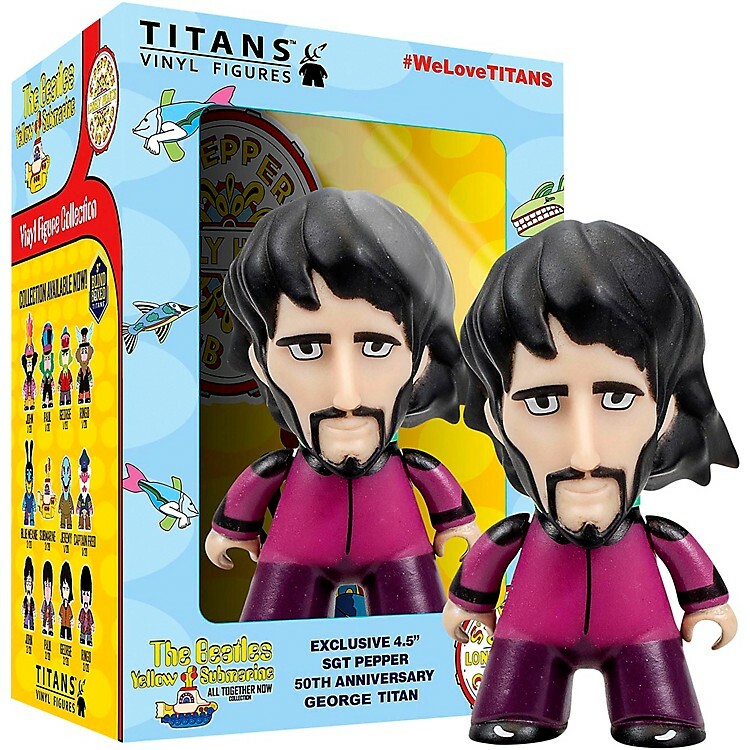 Pepper's Lonely Hearts Club Band, is joining the Titan vinyl series. Enjoy the show with George Harrison standing close at hand. The Beatles Sgt. Pepper's George in Disguise 4 1/2-Inch Titans Vinyl Figure comes packaged in a full color, window-display box. Ages 15 and up.